Elizabeth Holmes lost everything—and nearly $900 million of other people’s money—when her bunk blood-testing startup Theranos went into full meltdown, resulting in the layoff of nearly all staff and civil charges of “massive” fraud for Holmes and former company president Ramesh “Sunny” Balwani. 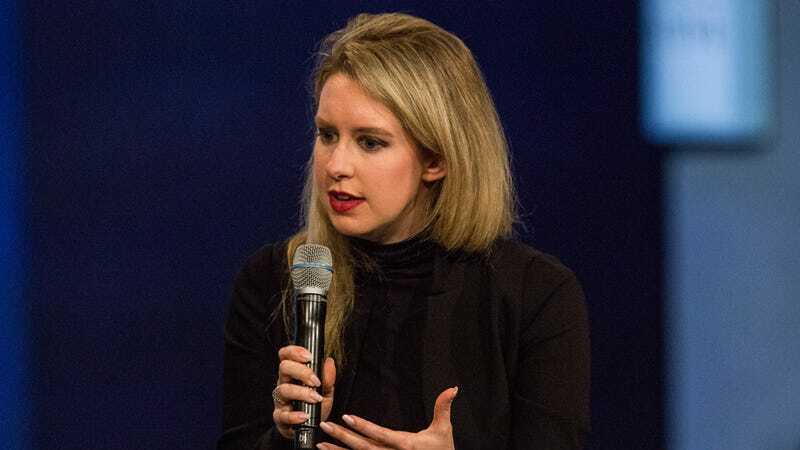 He explained that in her mind, according to numerous former Theranos employees he has spoken to, Holmes believes that her entourage of employees led her astray and that the bad guy is actually John Carreyrou. “One person in particular, who left the company recently, says that she has a deeply engrained sense of martyrdom. She sees herself as sort of a Joan of Arc who is being persecuted,” he said. That’s despite the fact that in addition to $500,000 in penalties and the forfeiture of 18.9 million now-worthless shares in Theranos, Holmes’ deal with the Securities and Exchange Commission to resolve the civil charges of fraud specifically prevents her from becoming the officer or director of a public company for the next decade. Then there’s the fact that the Centers for Medicare and Medicaid Services found Holmes’ company was running tests so haphazardly that it believed some patients could be at risk of internal bleeding or stroke, all while ignoring its own quality-control flags. What’s left of Theranos is still struggling in court against its former lenders, who say they were defrauded. According to the Wall Street Journal, emails from Holmes to shareholders back in April raised the possibility the company will be liquidated by August. But as Vanity Fair noted, “venture capitalists like Tim Draper (an early Theranos investor)” are still insisting that Holmes did nothing wrong, meaning that perhaps there are still people willing to trust her with money.